If your heat has been running and you realize there is an unusual burning smell coming from the furnace, the smell can be quite disconcerting. A burning smell is something many folks readily associate with fire, and a fire in your home is something no one wants to discover. But when there is a problem with your furnace, this smell could mean many things ranging from fire hazards to minor issues that should not cause any alarm. Knowing which is the case will let you rest easier at home. If you smell something burning, it could be a furnace problem. If the air filter in your furnace is extremely dirty, it can lead to overheating and potentially be a fire hazard. According to the Built Online website, the furnace can begin burning too hot because of a lack of airflow through a dirty furnace filter. 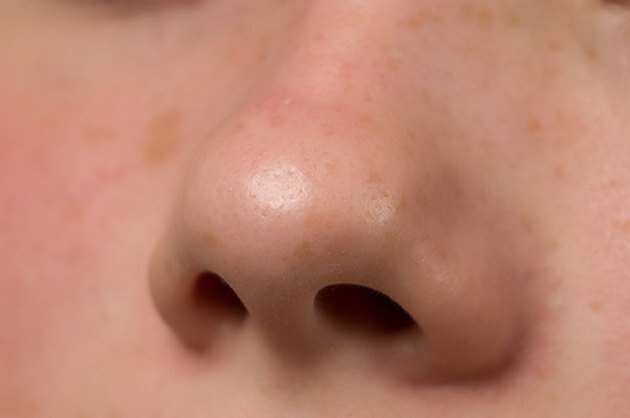 One of the common symptoms of this problem is a smell throughout the home that may remind you of an iron burning through clothing. This excessive heat could potentially cause a fire by setting the actual filter on fire or igniting another flammable material nearby. One of the most common burning smells you'll experience with your furnace will happen when the unit is turned on for the first time of the cool weather season. Over the warm months, while the furnace is not used, dust from the home will settle in the combustion chamber. Imagine if you went six months without dusting the coffee table, and assume the inside of the chamber would look the same way. When the chamber ignites for the first time, all of the dust will burn off and send the smelly smoke through the ducts and into the home. It's nothing to worry about, and it will only smell strange for a few minutes. The next time it comes on, the dust will not be there and the small won't either. But don't be surprised if the initial start-up even sets off smoke detectors in the home. Although furnaces are designed to be as safe as possible, they still deal with heat and fire. If an item is placed against the furnace that is highly flammable, it is trouble waiting to happen. If you detect a burning smell, turn off the furnace and look around it to see if old blankets, toys or other items may be stored against the furnace, causing it to heat up and melt or burn the items. 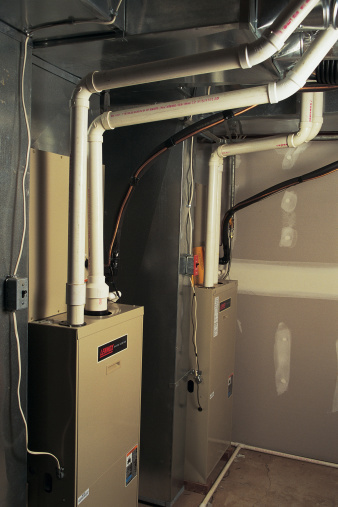 The blower on your furnace is a mechanical device like any other, and it is prone to breakdown from time to time. The blower serves a dual purpose in a furnace. It sends the warm air out through the house, and it also keeps the internal temperature of the furnace from getting out of hand. If the blower stops working, it could cause the furnace to overheat and may result in a burning smell.